New arrivals to Classic Cadillac this month are a 1983 Cadillac Coupe Devile; 1983 Cadillac Sedan Deville. Both these Cadillac are rich with rust free panels and fenders, doors; hoods. Please email me for pictures of these classic cadillac’s. 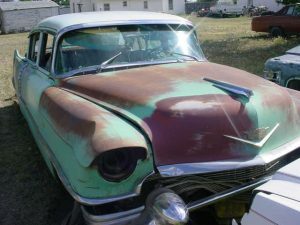 Also to new Cadillac parts is a 1955 Cadillac Sedan and 1977 Cadillac Coupe, again these cars are very much rust free with clean hoods, trunks, fenders; doors. 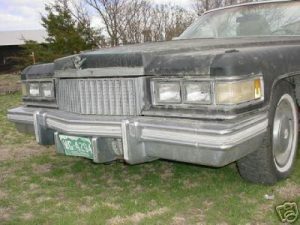 This 1978 Cadillac Fleetwood Sedan has good clean of rust front fenders, door, hood, trunk and clean front and rear bumpers, the front and rear lights on this 1978 Fleetwood are in fair condtion as well, most of the 1978 Classic Cadillac fleetwood trim on the outside is there and in fair to good condition. 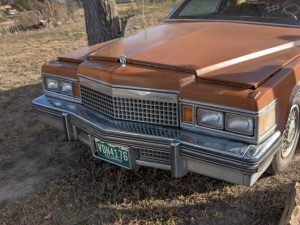 The insides of the car is in poor but usable condition, however the Colorado Sun has played a big part in this 1978 Cadillacs poor inside condition. This 1978 Cadillac Fleetwood Deville engine was running when it arrived, but has since need a new fuel pump to run, however, the Cadillac engine runs strong upto this point, all engine parts on this 1978 Cadillac will be sold as is….. Also on new arrivals is a 1978 Cadillac Fleetwood Brougham this 1978 Fleetwood Brougham Cadillac four door have also great panels, fender, hood, trunk and hood, some of the inside again is worse for wair due to the Colorado sun, however the 1978 Cadillac Fleetwood Brougham Cadillac has a complete engine, and trim for the outside, all bumpers front and rear are clean, please email for pictures for this 1978 Cadillac Fleetwood Brougham. THIS NEW PARTS CADILLAC 1989 SEDAN DEVILLE, STILL WITH A RUNNING ENGINE AND TRANSMISSION, A/C,1989 CADILLAC! This 1989 Cadillac Sedan Deville parts car have very nice doors, door glass, and hardware, the fenders good, trunk and hood are very straight, the insides regards the front seats are in poor condition, however the rear seats are in fair condition and only lightly used, please email me above more pictures….. the engine has over 200,000 miles, but the A/C and computer seem to be working, most of the electrics on this 1989 Cadillac apear to be working fine. 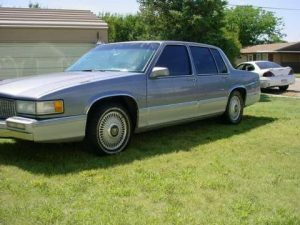 Please call me on Colorado (719 529 9624) outside of the USA call (719 523 4462) please use the email address above, 1989 Cadillac Sedan Deville, remember that the 1989 Cadillac will interchange on the 1991 Cadillacs and 1992 Cadillacs. 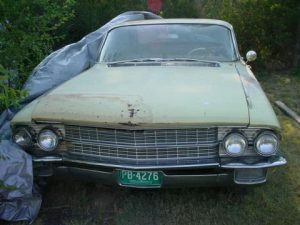 Please email for other later years Cadillacs and parts. 1975 CADILLAC SEDAN DEVILLE PARTS CAR,FOUR DOOR HARDTOP COMPLETE, 55,000 ORIGINAL MILES, THIS 1975 CADILLAC WILL INTERCHANGE WITH THE YEAR 1976,1974 CADILLACS, EMAIL US FOR MORE PICTURES! COLINTEXAS@HOTMAIL.COM This 1975 Cadillac Sedan Deville has good rust free fenders, hood, trunk and doors, all the trim on thei low miles 1975 Cadillac has lasted well over the years in our very dry southeast Colorado weather….. the front bumper is in very clean condition, and will clean-up very nice for a day to day runner, and make a very good bumper for a re-chromed show car. the rear bumpers are in the same shape…. all the glass is still intact on this 1975, 1966 Cadillac, most of the inside has not lasted that well outside due to the very hot sunny days in our area, the engine as quoted is in great shape, this Cadillac was running very strong at the time of purchase, and lots of this Cadillacs engine parts would be very clean, please contact us via the blue email links at the top of the page regards this 1975/1976 cadillac. 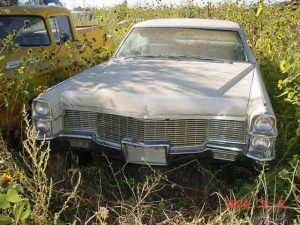 1962 CADILLAC FOUR DOOR HARTOP, GOOD SOLID ENGINE A/C PARTS CADILLAC, SOME PARTS INTERCHANGE WITH THE 1961. this 1962 Cadillac four door hardtop parts Cadillac has good clean engine parts, this Cadillac was running upto late 1980s. The 1962 cadillac four door has some interchanging parts with the 1961 Cadillac four door hardtop, the doors, door glass, and other inside items are all clean, there will be some pitting, but all would make good cores for re-chroming. 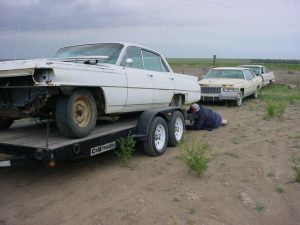 the hood, fenders, trunk are in clean condition, the front fenders on this 1962 Cadillac has rust in the headlight areas, and the lower parts of the fenders, the fenders will need work. Most of the ouside trim on this 1962 Cadillac parts car are in fair driver condition, the grille and front headlight assemblies on this 1962 Cadillac are in fair condition, the headlight do not have pitting, the front bumper on the 1962 Cadillac are good every day running bumper, and again would make great cores for re-chroming…. please e-mail for more details. 1977 Cadillac Coupe Deville – Back New to this month is a complete 1977 Cadillac D Elegance two door coupe, this coupe 1977 is slightly different to the Coupe Deville, most of the inside bares the difference the 1977 Cadillac D Elegance 1977 has very clean outside steel, fenders, doors, and front and rear bumper are all clean, all the glass on this 1977 Cadillac are in great shape, please email or call on this 1977 Cadillac…..e-mail colintexas@hotmail.com or call Colorado 719 529 9624 overseas interests, please call 719 523 4462……please email for more pictures of the inside of the 1977 Cadillac Coupe D Elegance, or for any other parts you may need please e-mail or call for details. PLEASE NOTE……! We have the rear fillers! New to this month classic Cadillac parts car is this 1956 Cadillac four door post car. It’s front bumper and rear bumper are in very good shape, the front dagmars are rust free, and the rear all important rear bumper ends (Very hard To Find) have complete rust free, and no holes. Much of the glass on this 1956 has been broken, but the insides are still in great shape for it’s age, the inside chrome and steel are very much all there, and orignal A/C system is also for most part intact on this 1956 Cadillac. The engine is all there on this classic Cadillac 1956, the hard to find (Batwing cleaner) is in very clean condition, and most of the A/C parts are intact. The hood and fenders; Doors; and trunk are in fair shape and appear to have no rust. Please feel free to email or call for more pictures to the parts you may need from this classic Cadillac 1956 four door hardtop.